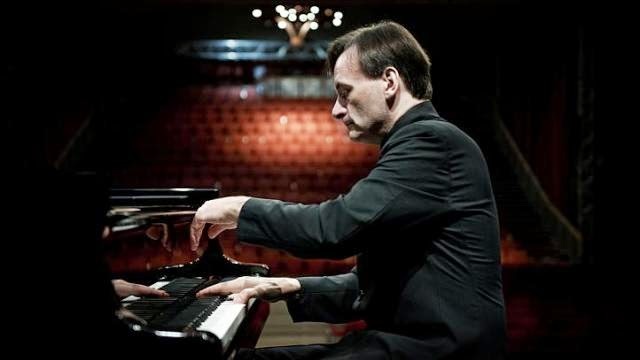 It was on the 5th of January last year that I went to watch Stephen Hough play a programme of Chopin, Brahms, Schumann, and a work of his own at a church in Harrogate. Christmas and the New Year had come and gone, but our university had remained shut, leaving me bored and not able to practice in Leeds. When C from my Italian class asked if I wanted to watch Hough play at a neighbouring town where he lived, I jumped at the chance and went along. We arrived slightly before the concert started and by then, the lower floor of Wesley Chapel was filled and we were directed to the upper level, where we found seats which had our views blocked: so we heard the concert rather than watched it, only getting a view of Hough when he stood up to bow. Although C didn’t particularly fancy Brahms’ and preferred Schumann’s Carnaval, I was blown away by his playing, especially in the slow movements. In fact, I thought his playing was perfect, almost too perfect. I also thought it was amusing that he played almost the entire programme from memory, except for (ironically) his own piece, in which he required not only the score, but also a page turner! At the end of the concert, Hough explained that he was quite ill and initially intended to cancel the concert – I’m glad he didn’t! A year and a half later, back in my home on the other side of the world, I relished the opportunity to watch him play. An edited version of review below will be published in The Straits Times on 4 October 2014. “It’s like a sandwich, French rye bread at the ends and some a Polish sausage in the middle,” says British pianist Stephen Hough of his recital programme, before playing Chopin’s Op. 15 no. 2 Nocturne in F-sharp Major as his first encore. Hough has made regular concert appearances in Singapore since the 1990s, and has gained a large fan base here. His programme comprised of four Debussy works which bookended the four Chopin ballades, and this performance was his first since the Victoria Concert Hall was refurbished, having performed there numerous times before. Adhering to Debussy’s performance directions of playing with delicacy and tempo fluctuations, Hough delivered a clearly coherent and witty performance of La Plus Que Lent, emphasising the dissonant harmonies cheekily and intentionally keeping the tempo unstable. These quirky characteristics were also evident in the penultimate work, Debussy’s Children’s Corner Suite, especially in the third (Serenade of the Doll) and last movement (Golliwog’s cakewalk). In Estampes, the acoustics of the hall suited Pagodes well, the tones of the piano resonating nicely before fading. In the Habanera, the opening high C-sharps rang clear like a tinkling bell. Hough flitted between the contrasting sections with a natural ease and seemed to revel in the ‘wrong notes’, the peculiar and unique harmonies which gave the work its character. Unfortunately, the acoustics worked against the toccata-like Jardins sous la Pluie, leaving behind an array of blurred notes echoing away all throughout the work. Debussy’s L’isle Joyeuse which closed the concert was inspired by artist Watteau’s colourful painting, L’Embarquement de Cythère, depicting a happy group of revellers departing for/from a mythical island that is the birthplace of goddess Venus. Hough’s version, however, was monochrome. He played only loud and louder, the expressive palette of colours he used for the earlier works seem to have been exhausted, and the subtleties of tonal shading also used before were non-existent here. The quiet sparkling and shimmering of the water at the beginning sounded more like a rushing stream. In between Estampes and the Children’s Corner suite were the four Chopin ballades, daringly fast and played with refreshing candour. The calm introduction of the Second Ballade gave way to wild, careless abandon, and the tentativeness in the beginning of the First Ballade broke into an overly sentimental and lyrical middle section. Throughout the Ballades the louder moments were fiery and brilliant – Hough was undoubtedly a virtuoso – but it was in the softer and stiller moments where he made an impact. His use of rubato was strikingly unconventional. He lingered over certain phrases, taking time at all sorts of places, and sometimes even intentionally playing both hands asynchronously such that the melody is given prominence. The ending of the Fourth Ballade was taken at breakneck speed, again resulting in a blur. Hough subsequently tossed off two more encores: a Pas de Deux from Austrian composer Léon Minkus’ ballet music for Don Quixote, and the nocturne from Grieg’s Lyric Pieces Suite, Op. 54 no. 4.